This is a very interesting view into the official process shared by a corrections department and prisoner advocates. 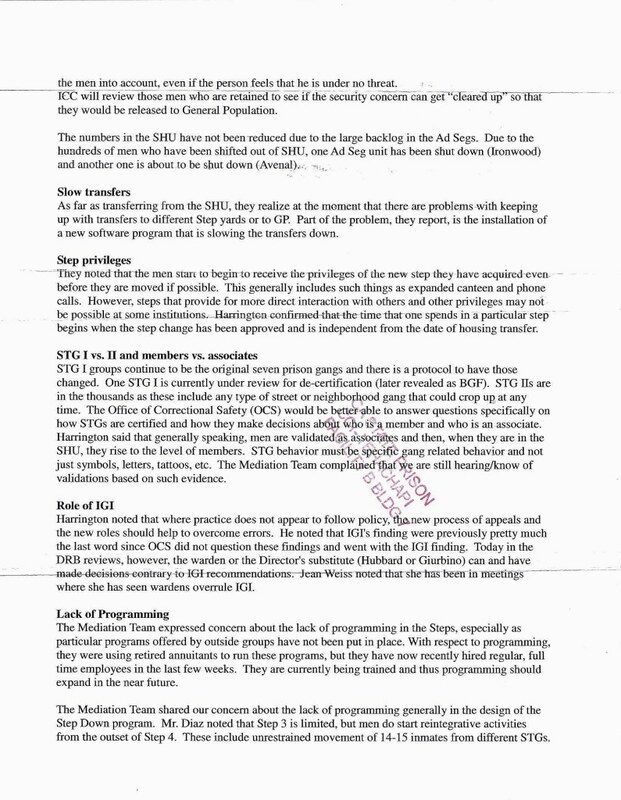 The minutes (from what must have been a short meeting) refer to the different steps in the Step Down program, which is basically the only way a CA prisoner in solitary can get out. The numbered steps, the numbered participants, the exceptions between steps and the program as a whole indicate an abstraction consistent with the unknown prisoners,staff and environment inside of prisons. 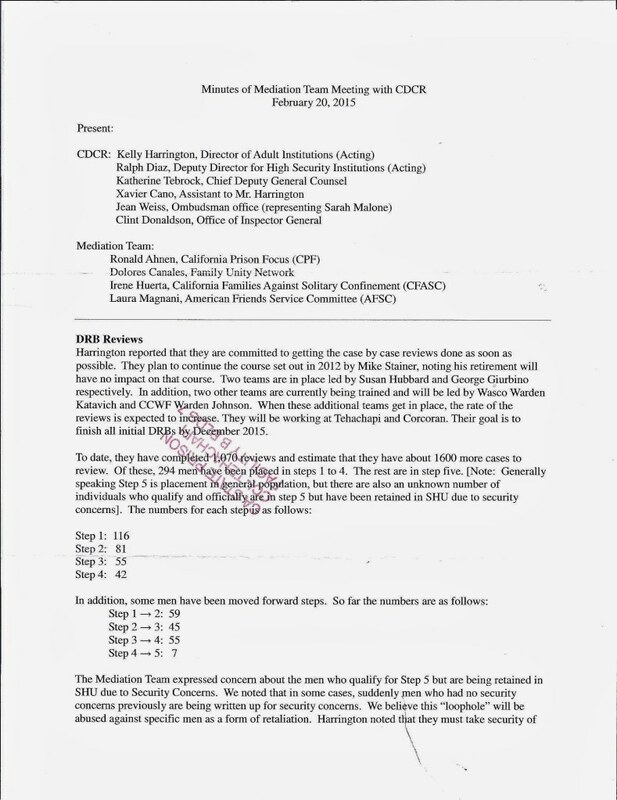 But it also demonstrates the unique combination of bureaucracy and fear in the CDCr culture. This combination and rush to label prisoners as dangerous gang-members led to the massive increase in number of prisoners in solitary AND shows that something as drastic as “Shutting Down the SHU” is a political pipedream. It hurts to modify instead of disassemble an abusive system but it’s either that modification or status quo. Bravo to the four advocates meeting with the 6 CDCr officials for this meeting.